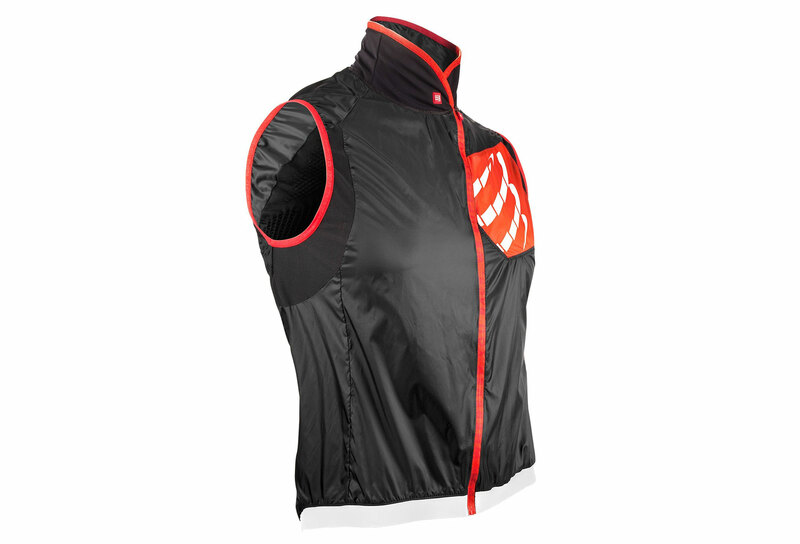 The Sleeveless windproof vest Compressport Cycling Hurricane is designed to provide you protection against the wind for road bike training or competition. 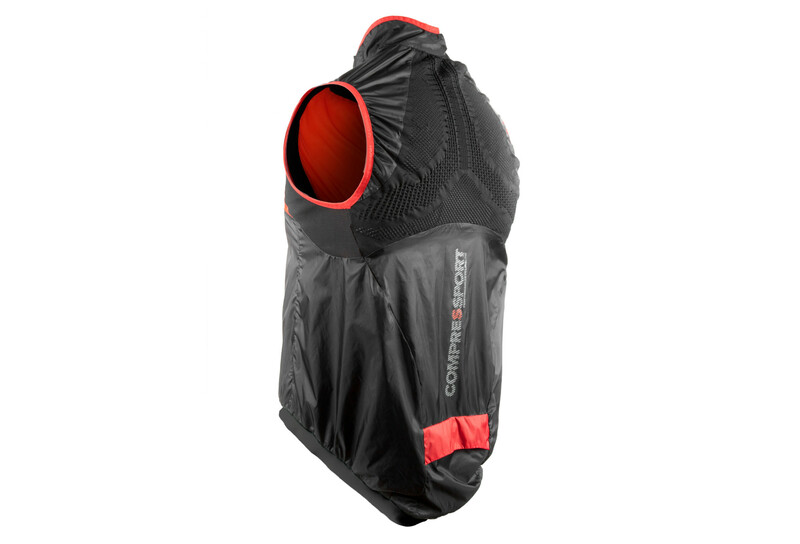 Its lightweight material is also developed for Efficient windproof, with the performance and more! The very compact cycling jacket is made to store in your jersey back pocket for long trips where the weather is changing. This jacket is an essential garment for your road bike outings. This jacket provide ergonomic shape without sleeves with a long back fabric to optimize the aerodynamic position and enhance comfort. The silicone lining and elastics allow non maintains excellent pay keep your jacket instead LORs effort of the. Reflective-Dots : Reflective To Be seen at night ou late in the day by motorists. 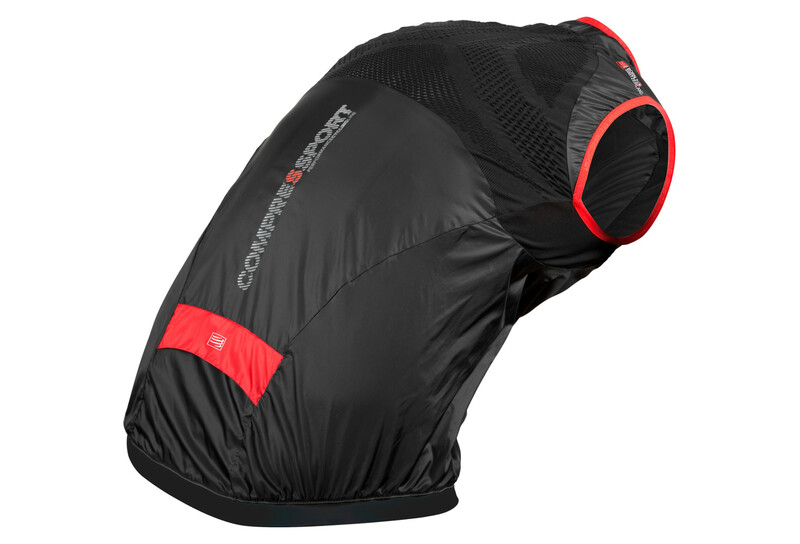 Ultra ventilation on and spin-off : This windproof jacket provides Good regulation of the heat inside. Breathable material according to your pace. Ergo-form : longer on the back of cycling jacket is designed pour Hurricane Stay in place and do not go back in time the Corp. Cold Cap : This cycling jacket model is made against the cold weather.